Genre/Influences: Electro-pop, body-pop, ambient-body music. Background/Info: Covenant is one of the leading bands of the electro-underground scene for quite a long time now. They’ve released an impressive number of referential albums and universal hits. Their 9th studio album “The Blinding Dark” got preceded by the EP “Sound Mirrors” revealing a new potential song anthem in their wide discography. Covenant now consists of Andreas Catjar, Daniel Jonasson, Joakim Montelius, Daniel Myer and Eskil Simonsson. “The Blinding Dark” wants to be a reflection about the dark times we’re actually moving through. An interesting perception after their previous album “Leaving Babylon”, which was already released 3 years ago. Content: Covenant remains animated and inspired by a real fascination and passion to create unique sound sculptures. 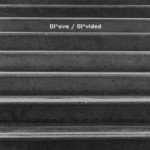 The new work remains a kind of antidote to cheap electro productions abusing preset sounds. Covenant truly are and will always be sound architects. It rapidly becomes clear that this opus probably is one of their most experimental ones ever. “The Blinding Dark” doesn’t exactly sound like an album with numerous potential hits. A few cuts like “Cold Reading”, “If I Give My Soul” and the unavoidable EP-title track “Sound Mirrors” remain in the truest tradition of Covenant. This is sophisticated writing built up with great sound treatments and driven by danceable vibes. The main part of the album however sounds different and moving into pure experimentalism and other evasive electro fields. The songs are mainly driven by a slow tempo and it sometimes becomes hard to recognize the ‘familiar’ sound receipt the Swedish band has previously used. There’s even a surprising cover version of the country song “A Rider On a White Horse”, which was originally written by Lee Hazlewood. Notice by the way that next to this regular version there also is a limited edition available featuring an extra disc (EP) while there also is a box available with more material. + + + : Covenant is not repeating themselves and that’s an approach I’ve always supported. The sound remains driven by an amazing creative spirit, which comes through in the sound and global production process. Eskil Simonsson remains one of the most talented and especially charismatic singers in the scene and the new work only confirms his talent. There’s no other band like Covenant and that’s of course what makes their sound unique. – – – : It’s all about a question of taste, but the numerous experimental cuts and down tempo tracks can’t fully convince me. This album is maybe a bit too avant-garde like, but I can’t imagine “The Blinding Dark” becoming one of the references in their wide discography. 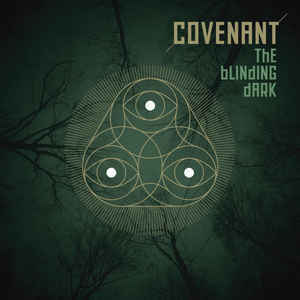 Conclusion: This album will not have a real impact on the status of Covenant as leading formation, but it definitely is their most atypical and somewhat unconventional album to date. I’m not entirely convinced! Best songs: “Cold Reading”, “If I Give My Soul”, “Sound Mirrors – Fulwell”, “I Close My Eyes”.